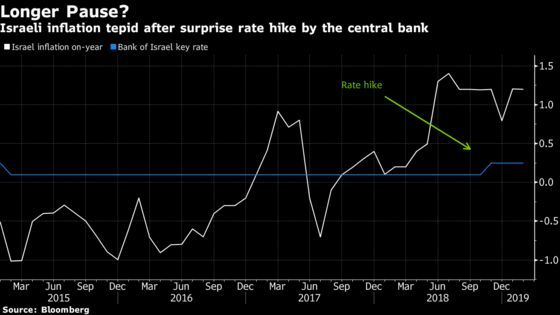 (Bloomberg) -- Three months into Amir Yaron’s stewardship of Israel’s central bank, it’s what he hasn’t done that offers the best clues to the governor’s thinking. Under his predecessor, Karnit Flug, the Bank of Israel criticized the government’s fiscal policy frequently and in scathing terms. By contrast, Yaron waited until the release of the central bank’s annual report to issue a warning. On the eve of his third rate decision, a day before Israelis vote in closely-fought national elections, that measured tone suggests the new governor will stick to his preference for “gradual and cautious” tightening. With the central bank on pause since making its first rate increase since 2011 in November, economists surveyed by Bloomberg are unanimous that the benchmark will stay at 0.25 percent on Monday. Most have scaled back expectations for rate increases to just one this year and don’t see another hike until the third quarter. Swaps that gauge expectations a year from now indicate only 13 basis points of tightening, down from almost 30 in December. “They won’t say it formally but probably” elections will hold them back at the meeting on Monday, said Mizrahi Tefahot Bank Ltd. strategist Modi Shafrir. Rates are likely to stay unchanged also “because of the global situation, the very strong shekel and the fact that year-over-year inflation is still low,” he said. Despite flare-ups of violence and political turbulence, the shekel has been trading stronger than 3.6 against the dollar for the first time since September. It’s the world’s third-best performer this year against the U.S. currency with a gain of more than 4 percent. While price growth has outpaced forecasts for three months, it remains near the bottom of the central bank’s target band of 1 percent to 3 percent. What’s more, the new governor has shifted the goalposts on inflation by saying he wants to see it around the 2 percent midpoint of the range, a level Israel last reached in 2013. Economists have said it could herald a more dovish stance than under his predecessor. 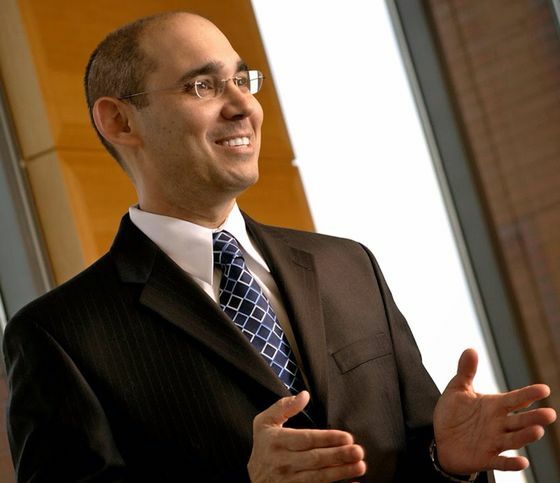 Plucked from academia by Prime Minister Benjamin Netanyahu, the Israeli-born Yaron had lived in the U.S. for more than two decades, where he was most recently a finance professor at the University of Pennsylvania. Little known in Israel, he still remains a mystery even to insiders. Along with striking a less critical tone toward the government, Yaron has also placed an emphasis on the global economic picture and suggested he’ll take a less interventionist approach, expressing a desire to continue winding down the central bank’s currency intervention program. Former Deputy Governor Nadine Baudot-Trajtenberg said the new governor had a “very deep understanding of financial markets,” which was a strong element to bring into policymaking. Days ago, Yaron said new financial instruments and deeper capital markets were needed to improve the credit environment and consumer well-being, specifically recommending the promotion of securitization and long-term interest rate derivatives.